Welcome to the Mercury Press, Inc's Customer Satisfaction Survey. 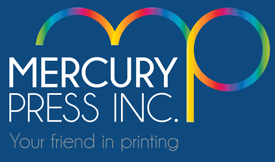 Providing quality printing and excellent customer service are top priorities at Mercury Press. Your responses will assist us in evaluating current performance and identifying areas for future improvement. 1. How would you rate the overall performance with your sales representative? 2. How would you rate the effectiveness with which we process orders? 3. How would you rate the overall value for money of our products? 4. How would you rate the overall quality of the product? 5. On an overall basis how satisfied are you with the customer service provided by Mercury Press, Inc?